Durham, North Carolina: Pharmacy technology provider Parata Systems unveiled two new pharmacy automation solutions yesterday at the 2017 MHA Business Summit in Las Vegas. Long-term care, infusion, and specialty pharmacists attending the summit to share insights and explore innovative technologies got the first glimpses of the Parata Perl™ Pouch Inspector and the Parata Pivot™ software platform. Parata Perl images and inspects up to 5 pouches every second. With its high speed and exception rates as low as 2 percent, Parata Perl reduces hands-on pharmacist verification time for PASS packaging by more than 90 percent. Perl’s self-learning software detects and images new pills, making it possible to update the master drug database in as little as 3 seconds. The optional Cut & Roll accessory automatically cuts and rolls strips by patient, hour of administration, or facility and separates flagged pouches for fast, easy retrieval. Parata Pivot saves time by identifying the most efficient packager and better balancing the workload across the pharmacy’s fleet of packagers. The Parata Pivot software platform centralizes inventory and allows canister sharing and facility-wide reporting. 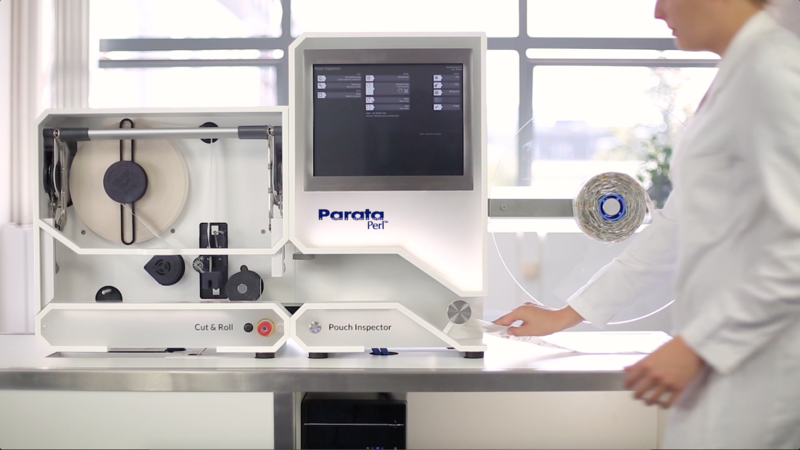 Pharmacies using Parata Pivot have reduced the use of special tablet trays by more than 25 percent, creating a more efficient and automated process and decreasing opportunities for human error. ABOUT PARATA: Parata Systems provides pharmacy technology solutions that empower pharmacists to elevate their role and help people lead healthier lives. Founded in Durham, North Carolina, in 2001, Parata is trusted by thousands of pharmacies throughout the United States and beyond. For more information, visit parata.com.